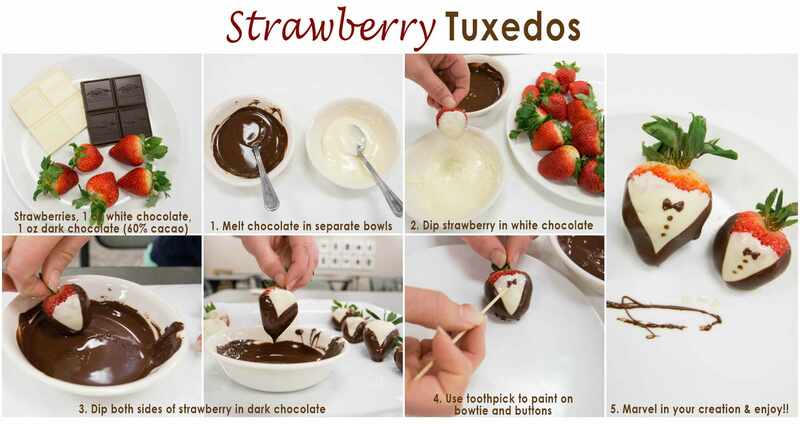 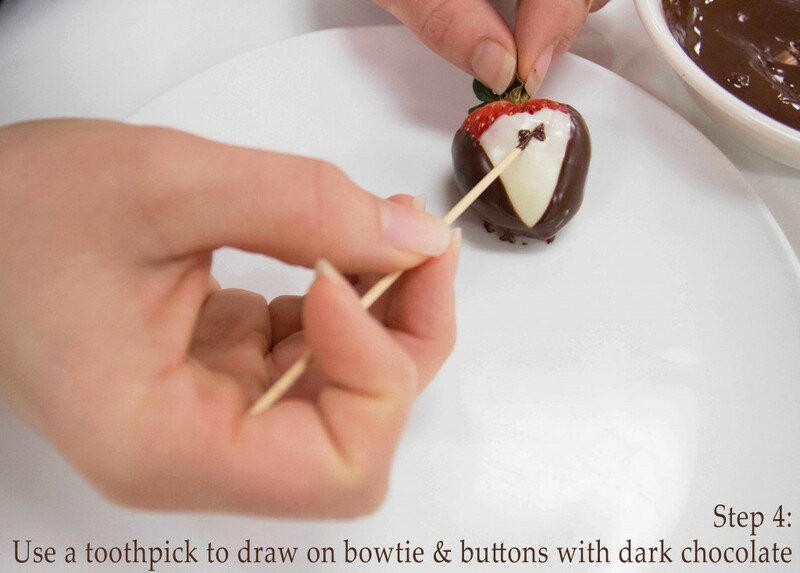 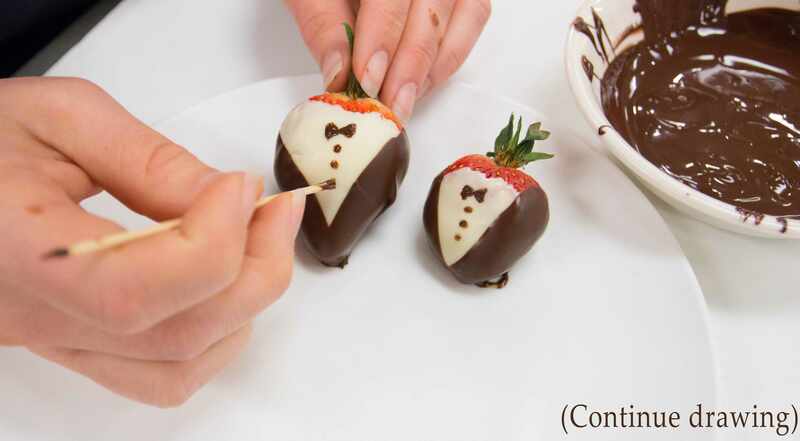 These strawberry tuxedos make for a perfect date night with your valentine! 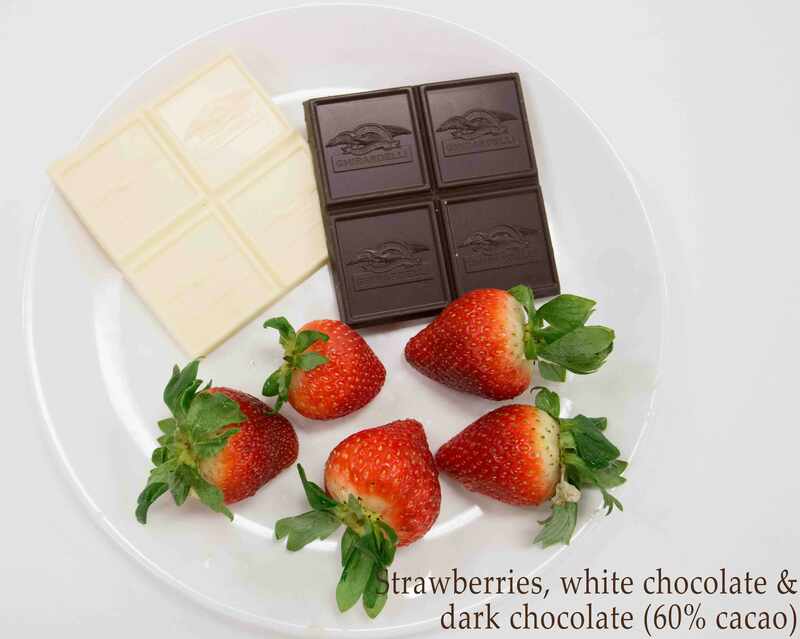 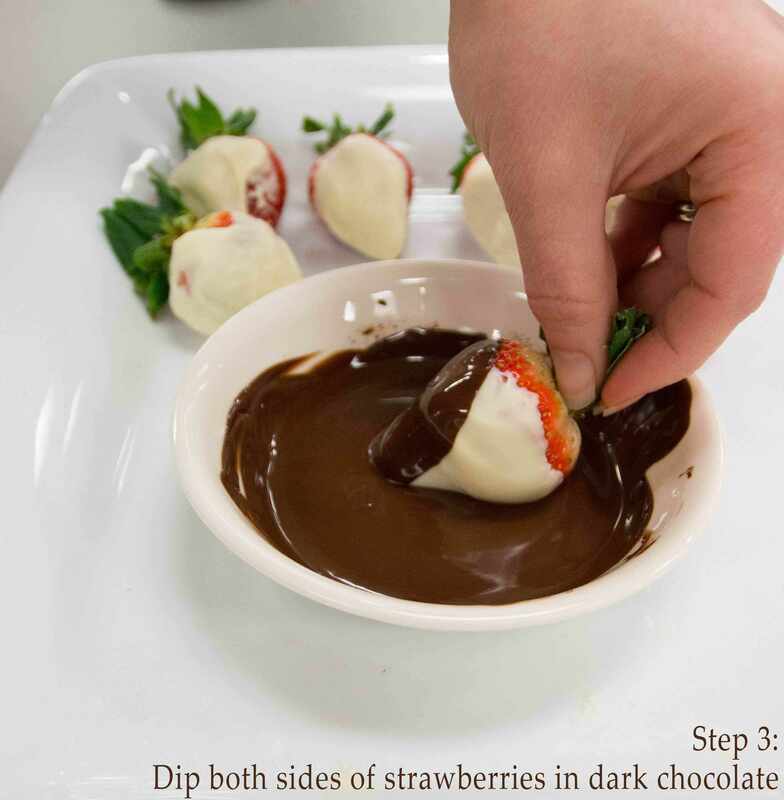 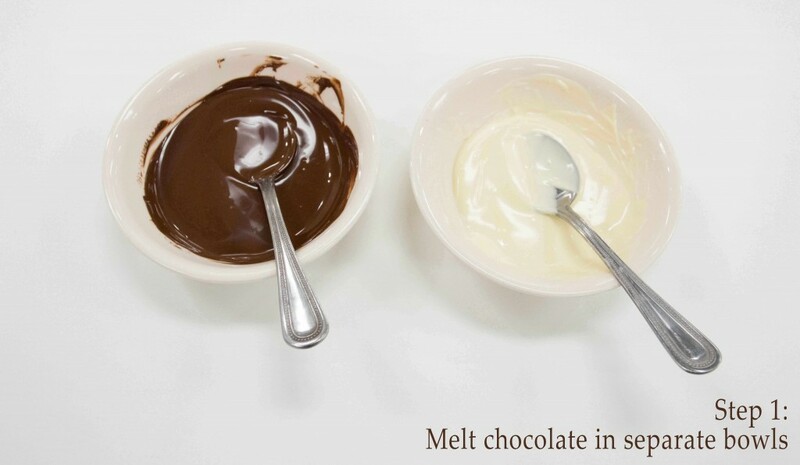 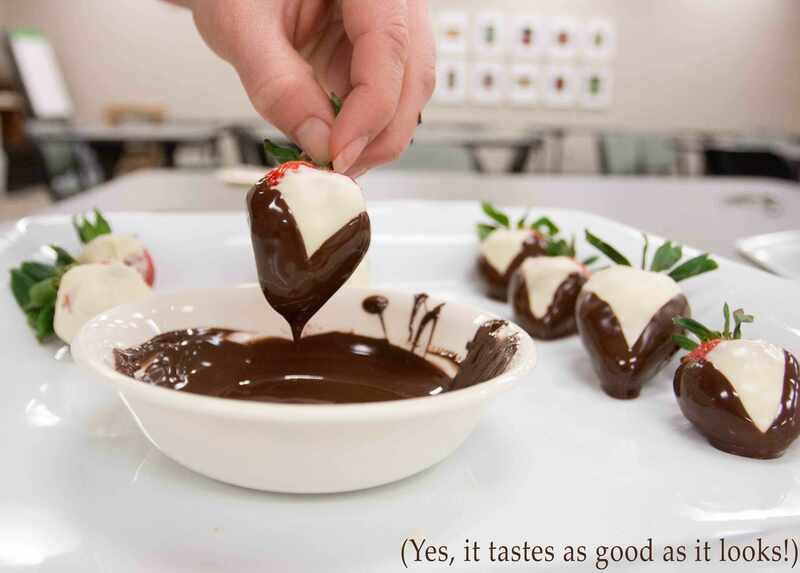 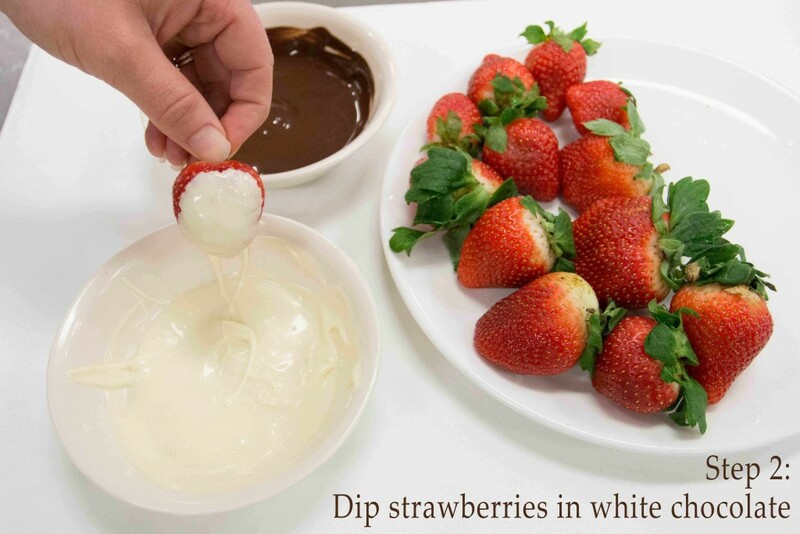 All you need are these three ingredients: strawberries, white chocolate and dark chocolate (60% cacao). 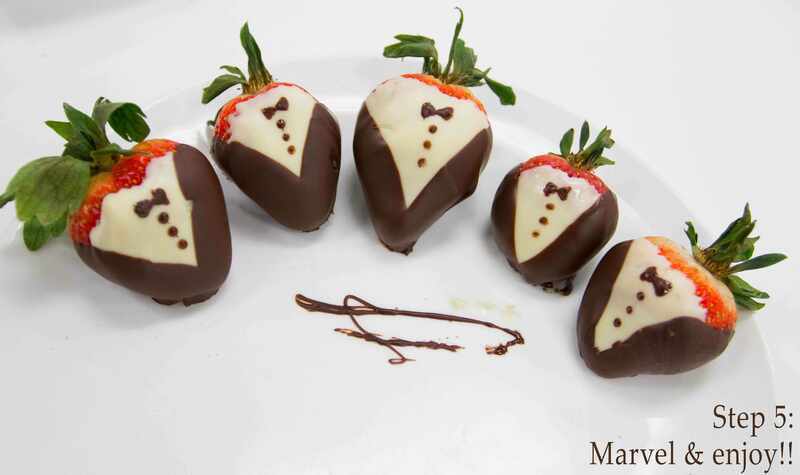 They are fun to make and delicious to eat!